Alpha-1 Antitrypsin Deficiency (AATD) or Alpha-1 is a genetic (hereditary) condition that may result in serious, chronic lung disease in adults and/or liver disease at any age. It is the most common known genetic risk factor leading to COPD. It is estimated that 1-5% of people with COPD have AATD. 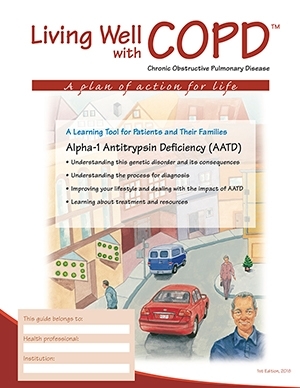 We have just launched a new learning module of the Living Well with COPD series, called “Alpha-1 Antitrypsin Deficiency (AATD)”. This module explains how in some people this genetic disorder can lead to COPD, and how to know who should be tested, by following the recommendations of the Canadian Thoracic Society (Marciniuk DD, Can Respir J. 2012 Mar-Apr; 19(2): 109–116). 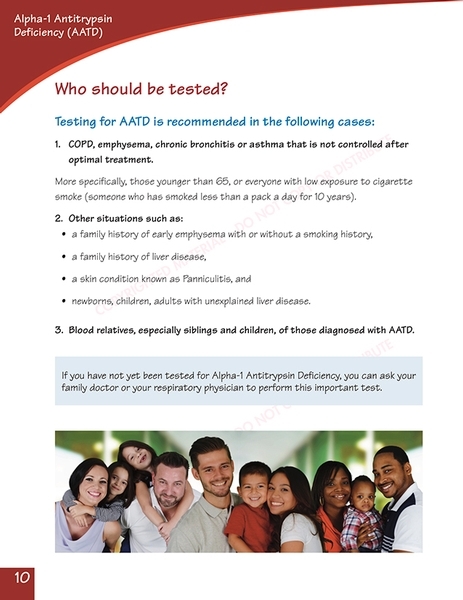 These new learning resources bring hope: having a positive diagnosis of AATD represents an opportunity to take concrete steps to avoid risk factors in order to limit symptoms, or slow the progression of symptoms. This can mean not only prevention, but also significant positive effects for people living with this condition. Proper treatment and lifestyle changes can significantly increase the quality and quantity of their lives. 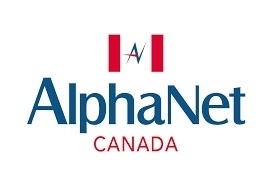 This new module is the fruit of a successful collaboration with the leading organizations offering advocacy, education and research to people living with AATD, such as Alpha-1 Canada, AlphaNet Canada and the Canadian Alpha-1 Registry. It has also been kindly enriched by organizations offering education to healthcare professionals in the respiratory field, such as RESPTREC and RQESR, and patients living with the condition. To access this new resource all you need to do is to log in to your account at LivingWellwithCOPD.com and consult the program library at the tab Documentation and Tools (section Modules). If you are not yet a member, sign-up, it is Free!